Your bathroom should focus on the essentials, should be well thought-out and functional – as per the motto “Less is more”? Do you appreciate it when the design is scaled back and the room looks completely uncluttered? 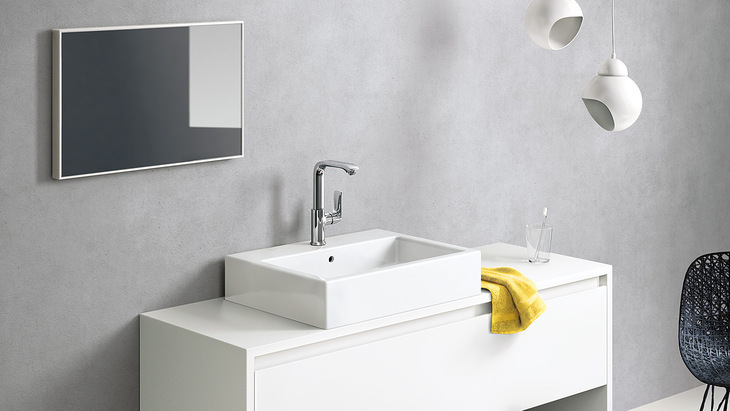 The Metris mixer range has the discreet design concept that is characteristic of many modern, purist bathrooms. And with the ComfortZone, Metris offers lots of individual freedom of movement at the wash basin: the mixers come in different heights, fitting in perfectly with your daily bathroom rituals.